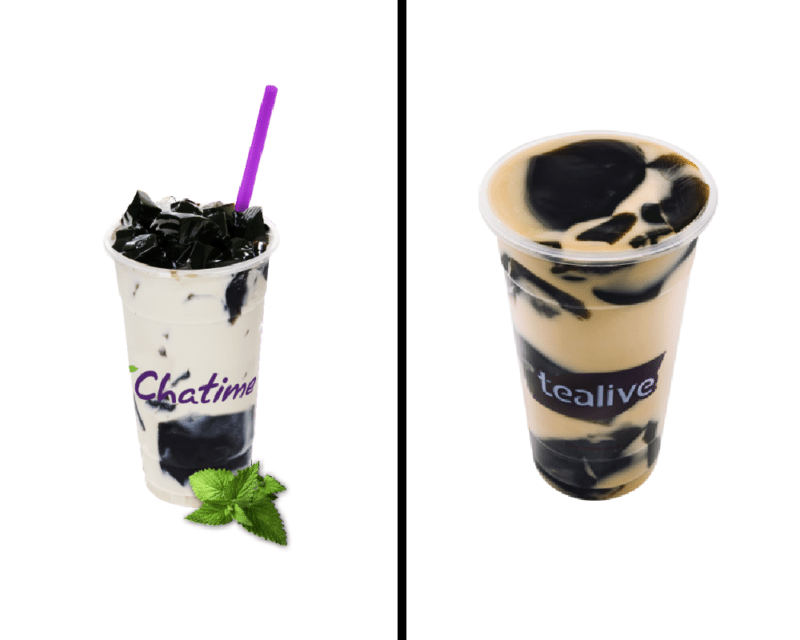 Chatime VS Tealive: Are The Bubble Teas Same Same But Different? It was here, and then it left. Then, another guy came into the picture. But now, he’s back again. Sounds familiar? We’re not talking about a soap opera. We’re talking about the Chatime vs Tealive bubble tea saga in Malaysia. After a few months of what seemed like a reality show spectacle with smidges of upsurges that kept us on the edge of our seats, Chatime Malaysia is back. Its longevity in the food and drinks industry has proven that it can serve, and it can serve well and with quality. However, it seems that Tealive is here to stay too. 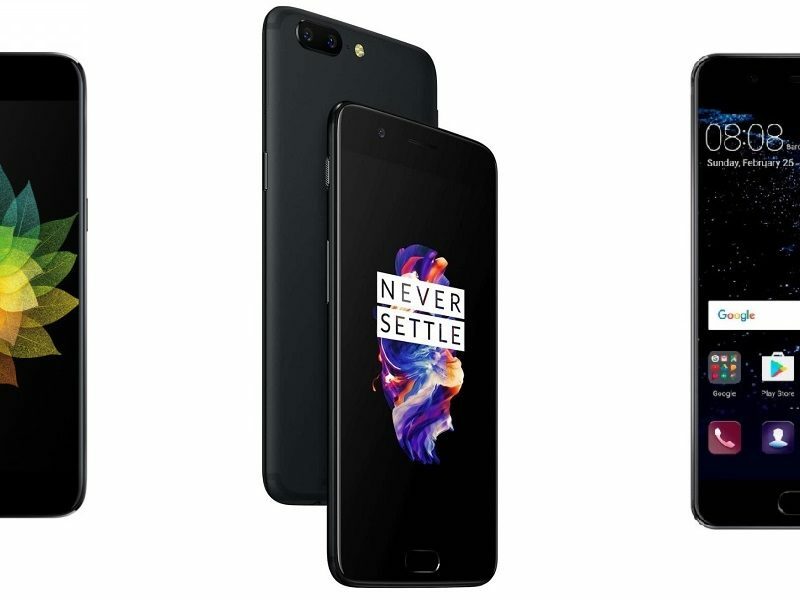 Time still needs to test if they can co-exist, or if the strong competition will get one of them down. Tealive’s (Loob Holding Sdn Bhd) is facing an injunction by the Malaysian federal courts, where they are required to shut down their operations for two years. Chatime (La Kaffa International Co Ltd) filed the injunction in February 2017, which was dismissed in May 2017, but approved in June 2018. Why The Injunction Against Tealive? La Kaffa / Chatime wanted to prevent Loob / Tealive from using similar ingredients and materials or selling similar products after the Chatime franchise was terminated between the two parties. 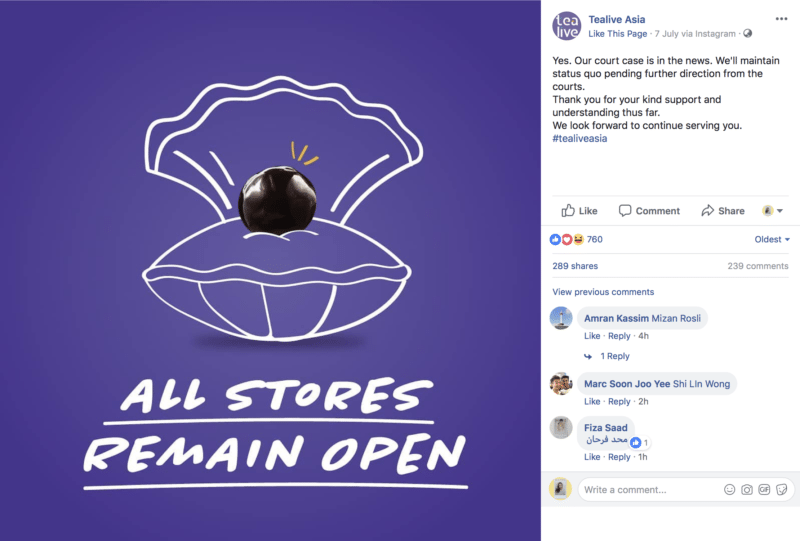 Tealive has announced on their Facebook page that they are still continuing operations, and are awaiting further instructions from the courts. Let us know what you think: are the bubble teas too similar for comfort? There is the classic and refreshing bubble tea from Chatime, a world famous favorite. 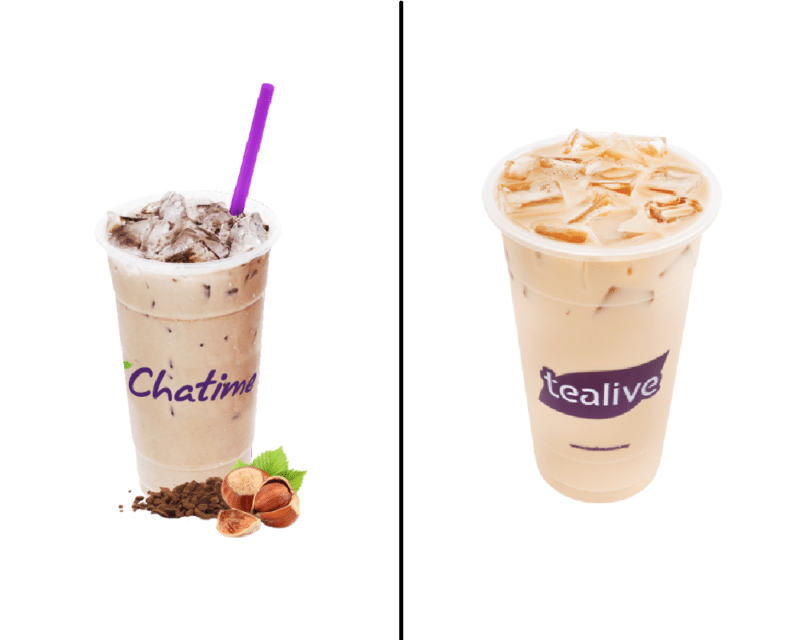 Then, there’s the Tealive version and another with a twist of brown sugar – 2 milk tea blends! Which one would you rather? There is the smooth and silky roasted boba with Grass Jelly from both the menus. They slightly differ in presentation but which one wins in taste? Which one would you rather drink? And then, there is the Hazelnut Chocolate bubble tea from Chatime. Tealive menu has its own adaptation. Which one would you rather drink? A battle in fruit tea drinks is on as well. One top favorite off Chatime’s menu of drinks is its Passionfruit QQ. Tealive menu offers an altered version with Jasmine Green Tea in its Signature Passionfruit Green Tea. But, which one would you rather drink? 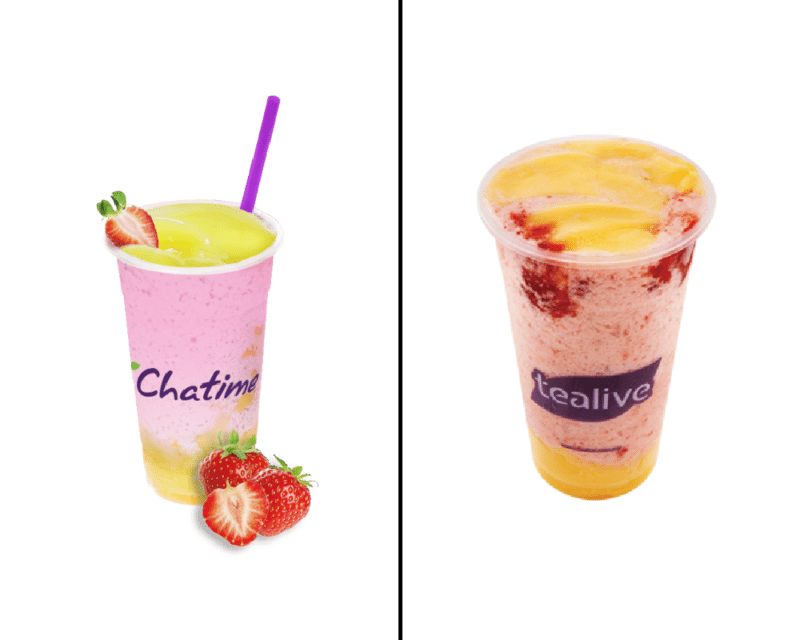 Both Chatime’s and Tealive’s smoothie offerings are ready to take on the battle, too, anytime. Among Chatime’s most favorite smoothies is the Strawberry Pudding Au Lait. Tealive has the Strawberry Pudding Smoothie. In half a shake, which one would you rather drink? Chocolatey drinks can also steal the scene. 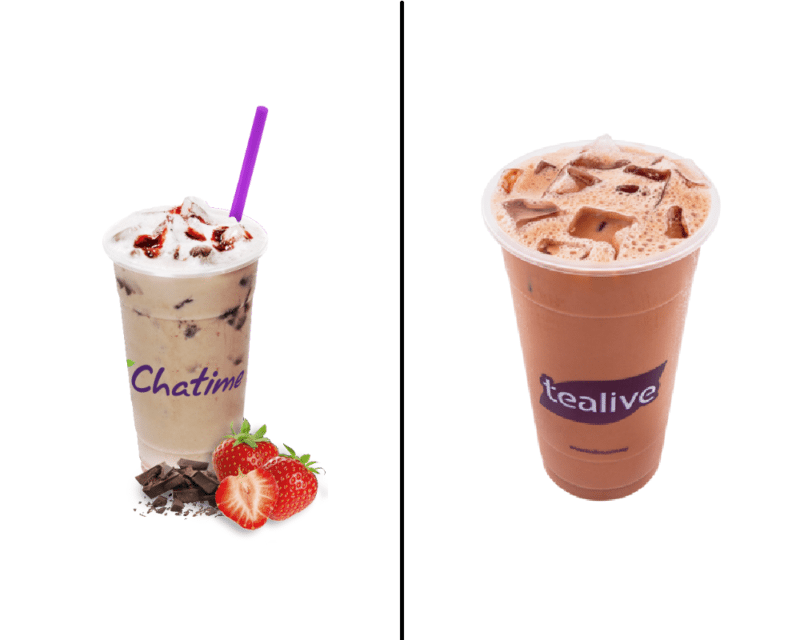 The tea and chocolate blends supplemented with other tastes from both Tealive and Chatime vary in approach to the palette. But then again, which chocolate tea series wins? Chatime has the Cocoa Latte, Strawberry Chocolate, and Superior Pure Cocoa as its best offerings off its Chocolatea Series. While Tealive has a wider range in its Coco Drinks – Superior Coco, Hazelnut Coco, Vanilla Coco Latte, Coco Banana Latte, Mixed Berries Coco, Horlicks Malty Coco, and Coco Smoothie with Oreo Cookie Pieces. Again I ask, which one would you rather drink? Do you like it hot or cold? Which drink wins your palette? Which one brings you comfort? Which blend serves you well? Which one would you rather drink? 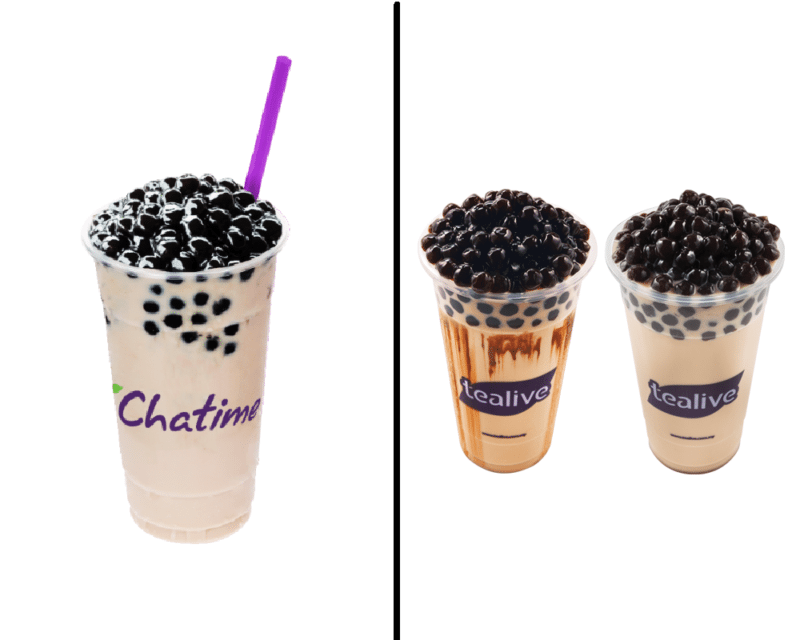 Which one tops the battle for the best bubble tea in Malaysia? Only time and tongues can tell. Maybe, price points and customer service will, too. Marketing may come into play. Partnerships and team ups may get one ahead of the other. Or, maybe the one who puts in the most toppings in our drinks will seal the deal. We will see in the seasons to come. Let the K-drama unfold! For now, you can check out both brands’ respective websites to see more of drinks they both have to serve. Foodpanda may even deliver these drinks so keep your eyes peeled for Foodpanda promo codes! We’d love to hear from you. Pour your heart out on Facebook, Twitter, or Instagram by sharing this post. Enjoy your tea! 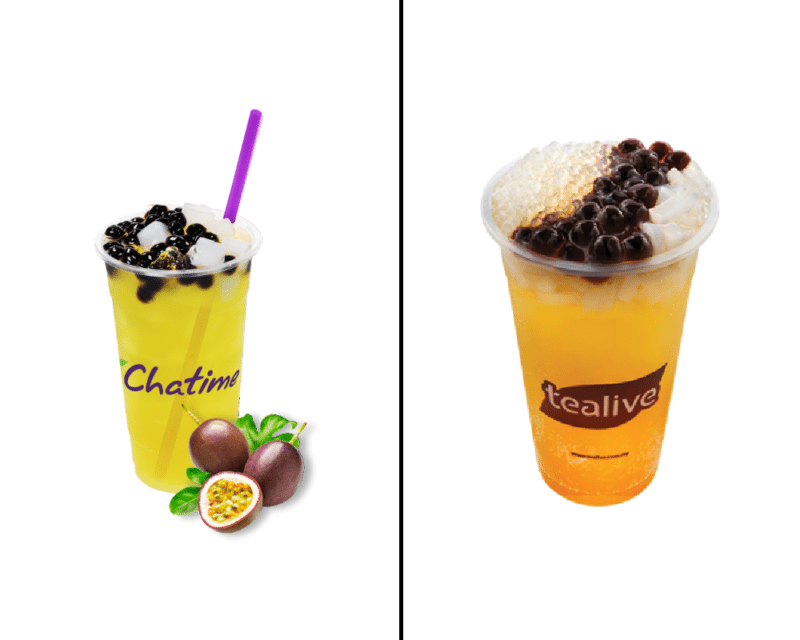 Images are from Chatime Malaysia’s and Tealive’s respective websites unless stated otherwise. How do you fall in love and what is the science behind it? If You Love All Things Hallyu, You'll Love These 6 Yummy Korean Snacks!